웨어러블 아이트래킹 분석 솔루션 개발을 위해 무료로 제공되는 개발 키트입니다. 실시간으로 전송되는 데이터 뿐 아니라, 사후 분석을 위해 저장된 데이터도 받아보실 수 있으며, 개발 플랫폼이나 프로그래밍 언어에 제약이 없습니다. Tobii Pro Glasses 2 SDK (software development kit) 는 개발자가 다른 종류의 사용자 정의를 연구에 적용할 수 있도록 응용 프로그램을 개발할 수 있도록 하는 도구입니다. 웨어러블 아이트래킹 리서치를 최대한 활용할 수 있도록 하는 포괄적인 개발 도구로써 개발자 가이드 및 코드 샘플이 제공됩니다. Tobii Pro Glasses 2 SDK는 플랫폼과 언어의 제약을 받지 않으며, Tobii Pro Glasses 2만을 지원합니다. "Eye tracking with the wearable Tobii Pro Glasses 2 adds a new dimension to our prosthetics control and user-interface work. The new SDK with data streaming will enable users to direct our robotic prosthetic devices in real time through both tracked gaze location within the local environment and the navigation of interactive augmented reality-control menus." 본 제품에는, 웨어러블 아이트래커를 제어하는 HTTP REST API 및 내부 파일 포맷에 대한 상세 문서가 포함됩니다. 그러면 Pro Glasses2의 기록 데이터를 읽어들여 사후 분석 애플리케이션에서의 이용이 가능합니다. HTTP REST API를 사용하여 실시간 Pro Glasses 2 데이터에 접근할 수 있으며, 제어도 가능합니다. 캘리브레이션 및 녹화 시작과 종료, 그리고 카메라 영상의 라이브 영상 데이터와 시선데이터를 수집할 수 있으며, HTTP REST API 활용의 일례로는 실시간 피드백과 사용자 모니터링을 위한 애플리케이션 개발이 있습니다. 사후 분석을 위해 Tobii Pro Glasses 2로 측정 및 수집된 시선데이터가 필요하다면, SD 카드에서 직접 데이터를 불러들일 수 있습니다. Pro Glasses 2 SDK에서는 SD 카드 내에 저장된 파일과 그 구조에 대한 상세 문서를 제공하기 때문에 그 과정이 매우 쉽고 간단합니다. 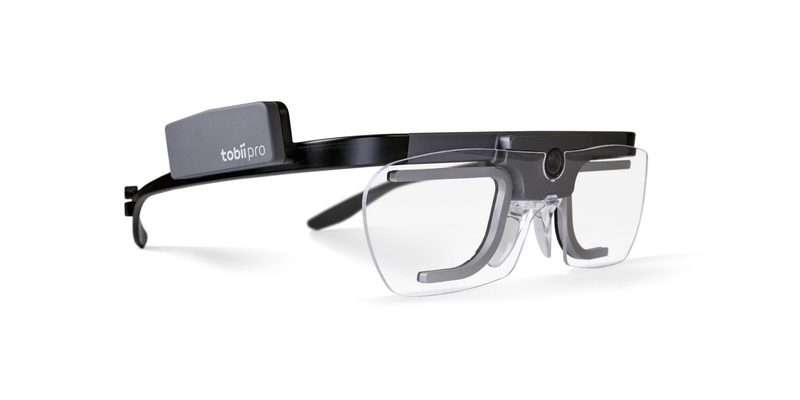 "We see exciting new applications for Tobii Pro Glasses 2 and its new SDK. They provide a new platform for quantifying visual orienting response behavior in real-world scenes." 여기서 Tobii Pro Glasses 2 SDK를 무료로 다운받으실 수 있습니다. 샘플 코드와 개발자 가이드가 함께 제공됩니다. Tobii Pro Glasses 2 사용자는 GET, POST, DELETE 등 HTTP Request를 지원하는 플랫폼이나 프로그래밍 언어에 한하여 HTTP REST API를 플랫폼이나 언어 제약없이 사용하실 수 있습니다. Tobii Pro Analytics SDK 3.0은 Tobii Pro Glasses 2만을 지원합니다.